That recent rumour about new Nintendo Selects games turned out to be true: four new games will slot into North America's budget range on 28th August. 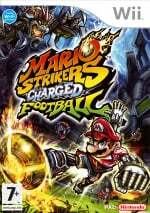 Topping the bill is legendary platformer Super Mario Galaxy, alongside papery adventure Super Paper Mario, Mario Strikers Charged Football and the non-Mario game Punch-Out!!. The four titles will drop to $19.99 from 28th August, joining Legend of Zelda: Twilight Princess, Mario Super Sluggers, Wii Sports and Animal Crossing: City Folk in the cheap classics line-up. Will you get any of these newly-reduced games? REDMOND, Wash.--(BUSINESS WIRE)-- Consumers and their families soon will be able to experience even more must-play games for the Wii™ system at an excellent value. Nintendo has announced the addition of four games to the Nintendo® Selects collection, a hot-selling series of fun, family-friendly Wii games offered at a suggested retail price of $19.99 each. Starting Aug. 28, the Nintendo Selects lineup grows to include Super Paper Mario™, Mario Strikers™ Charged, Punch-Out! !™ and Super Mario Galaxy™, which is recognized as one of the most acclaimed Wii games of all time. Happening in the UK James? Yes I will be buying Punch-Out!! as Well! I'm hoping Warioland Shake it will be become a selects title. @JakeTheChao Not that I've heard. Well, I already have all of these.... Bring us WarioWare Smooth Moves Nintendo! Twilight Princess and Super Paper Mario to Europe, please? That would be awesome. I just got an email from Nintendo of Europe, Europe will get Twilight Princess and Mario Galaxy only. Why did they release Wii Sports in outside of Japan? We get it for free with our Wii! @Kevin As of May, Wii consoles sold in North America and Europe include Mario Kart Wii instead of Wii Sports. Cool, another chance to grab Mario Strikers. When this comes to the UK I am picking up 2 of these. Punch-out and Mario Strikers charged, I have the other two. I've been planning on picking up Punch-Out, and now seems like an opportune time. Strikers and Paper Mario for me. I feel bad that I had just bought Punch-Out last 2 weeks. But I only payed an extra 8 dollars. I am going to pretend I payed one day shipping. Buying Strikers Charged and Punch-Out. I've been waiting for SPM to drop since it launched! This is rad news! Punch-Out and Paper Mario for me, please. If my Wii's disc drived worked, I would get Punch-Out in a heartbeat. Definitely will be picking up Punch-Out and especially Super Paper Mario, since even used copies of that one tend to still be on the pricey side. A lot of people have been talking about wanting Warioland to be a budget title on this thread but I got a new copy of it for exactly what these other games cost ($19.99) a few months ago. Maybe it's just more expensive in other countries? Probably Super Paper Mario and Punch-Out!! Will finally get Paper Mario - heard it starts with lots of reading so I passed originally, will be good for my now 6 yr. old now. Wonder what I could get for my old beat up copy of Strikers w/ I got used with a manual? i'm getting paper mario, mario galaxy and twilight princess.....can't wait until aug 28th. @vonseux AGREED!!! Really fantastic game!! Planning on picking up Punch-Out!! Looks like it's time to pick up Galaxy and Super Paper Mario! I didin't enjoy Super Paper Mario. About hlaf way through I began to feel like the game designers were a clutch of hipsters (thats the collective noun there) who were taking the piss a bit. Well this is quite a councidence! My 19th birthday is August 28th! Too bad I already have Mario Strikers Charged. On the bright side, My aunt paid for it last year. Being as old as I am I doubt I could convince my mother to get any of those for me. My Aunt maybe. Yes! Must get Punch-Out!! and maybe SPM down the line. Ninjabread Man deserves more love. Get Punch-Out!! and Super Paper Mario if you haven't. Both excellent games and some of the Wii's best. Definitely will get SPM. Maybe Punch Out too if I find time for it. If you don't have Galaxy yet, what are you doing on Nlife? Go play it! Well I'm definitely picking up Super Paper Mario. I never got a chance to beat it before I had to give it back to my friend that I was borrowing it from. Everyone should buy Punch-Out!! as well--it's one of the Wii's best, and one of my all-time favorite games. 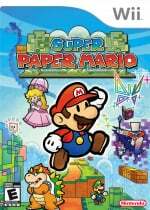 Super Paper Mario, now that it's so low. I haven't played it but I recently beat Thousand-Year Door. 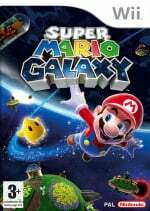 I might get Mario Galaxy now, but I already have Galaxy 2, so I'm not sure on that one. I'll also pick up Twilight Princess once I finish Ocarina and Majora on VC. I need to get Punch-Out! !, and I should probably get Galaxy too, seeing as I never got around to beating it when I rented it. yes! I've been waiting for galaxy's price to go down! plus paper mario! Hmmm now might be a good time to pick up Super Paper Mario. I have Punch Out and I wasnt a big fan of Galaxy. This reminds me I need to get back to pummeling Punch-Out!! Think I might pick up Strikers too, been meaning to try it out for a while. I have 3 of the 4 already and feel confident they were all well worth the $50 I paid for them. I may pick up that remaining title however. I'll be getting Punch Out!!! I recommend Wario Land and Excite Bots to be the next- even though you can get them for $20 at Best Buy. Oh, and maybe Metroid Prime 3. I got the Trilogy set for $20 on sale at Best Buy the same year it came out for Christmas. Best $20 I've spent. Next day, it shot back to $50. Maybe Nintendo will think of selling Metroid Trilogy + Other M for $25 or $30 to celebrate Metroid's 25th? Stranger things has happened. I may get Mario Galaxy. I own all of them but Mario Strikers Charged. I was a big fan of the original on the GameCube, but is the Wii one worth picking up? When will Wario Land Shake get a price drop in North America. I will pick up Punch-out and Strikers, I already have the other 2. It's about time punch out got some props. Yes! I will get Super Mario Galaxy. I have the second game, but now I can get the first one again for cheap. I might get Mario Strikers again. I already have Paper Mario. I'm not sure about Punch Out. Curses, that's two more games I won't be able to sell on EBay. Punch Out!!! was not worth $40 or $50. After playing it I can say $20 is much more reasonable. Good show Nintendo! Wario Land definitly desserves more love, it beats the crap out of Galaxy if you ask me. Anyways, I already have SMG, Punch-Out!! and Super Paper Mario and I could care less for Strikers. I already have Super Mario Galaxy. I had very little fun with Super Paper Mario and even less fun with Mario Strikers Charged when I borrowed them. 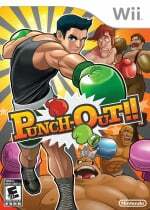 Looks like my next Wii game will be Punch Out! @Gamesake Punch-Out!! was definitely worth full price for me. Finally I can get Twilight Princess, Punch-Out, and Super Paper Mario without breaking my shallow wallet~!!! My mother's friend got me Super Paper Mario for my Birthday today! On an unrelated note my mother found Harry Potter Years 1-4 for Wii for a bargin! I'm waiting at home right now for them! on another side note my birthday is the same day the new select titles came out! Just for those with different time zones.